The state election held on November 25, 2017 saw three current and one former QTU member elected to the 56th Queensland Parliament. Julianne Gilbert, the member for Mackay, and Scott Stewart, the member for Townsville were both re-elected. Corrine McMillan, principal of Cavendish Rd SHS and a principal union rep of the QTU, was elected to the seat of Mansfield. The fourth is Leanne Enoch, the member for Algester (and first indigenous woman elected to the Queensland Parliament), who was a teacher and QTU member before going on to other careers. It is really important that there is a diversity of backgrounds and views among our elected officials to ensure that our democracy remains strong. 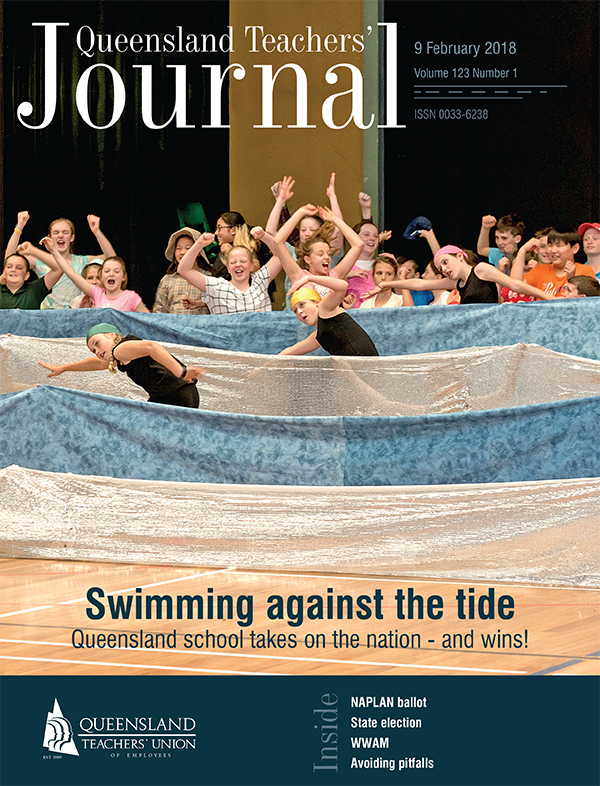 So it is an excellent outcome for Queensland teachers and school leaders to have active teaching and education voices both inside the Queensland Parliament and within the current Palaszczuk government. Julieanne has received a promotion to become Assistant Minister for State Development, while Leeanne has changed cabinet positions to become Minister for Environment and the Great Barrier Reef, Minister for Science and Minister for the Arts. Corrinne, who defeated former Newman government Minister Ian Walker, has dedicated her working life to public education and will join Scott as a strong supporter of public education and the work of teachers and school leaders in the Palaszczuk caucus. QTU members worked hard to see quality candidates get elected or re-elected to Parliament, giving up their own time to support the broader Queensland Council of Unions campaign or directly supporting their QTU colleagues who were seeking election. This included volunteer members making more than 2,500 member-to-member phone calls and direct public engagement to discuss education policy and what was at stake in the election.